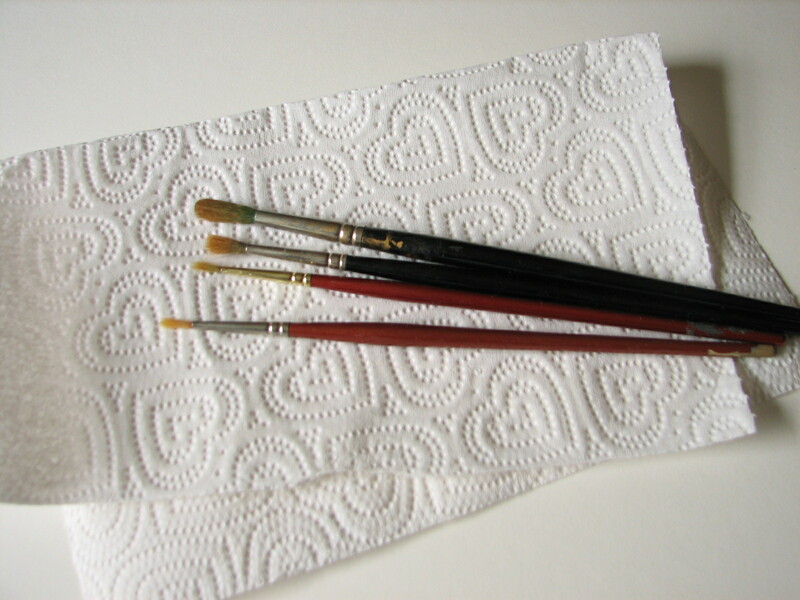 Kolinsky sable brushes and Sceptres, well used. Charlotte hung out with her Yale friends at the good old city restaurant, George and Harry’s, north of the New Haven green. On a limited budget, she would often have an omelette for dinner or creamed mushrooms on toast. One day, while they were having lunch, a young man burst in and announced, “The Japanese have attacked Pearl Harbor!” As Charlotte described it, everyone stood up and started yelling. Several young men raced down the street to enlist, only to be killed within a few weeks. At home in Meriden, Arthur Sternberg helped Eva to sew blackout shades. Supply planes often droned overhead. The war was tragic, and did color the experiences of the students. On a positive note, one of the greatest discoveries of Charlotte’s schooling was egg tempera painting. Egg tempera was then enjoying a small revival at Yale. Professors such as Louis York and Daniel V. Thompson (author of The Practice of Tempera Painting) had rediscovered ancient techniques that had not been widely used since the Renaissance. Egg tempera is very different from oil paint. Oils can be thinned for glazes, but in their heavy, or impasto form, they are more like mayonnaise in consistency. Oils also can take a week or so to dry. Egg tempera, on the other hand, is a water-based medium, consisting only of pigment, water, and egg yolk. Artists commonly used it from medieval times up until the Renaissance, as did old masters, such as Fra Angelico, Botticelli, Michelangelo and Leonardo. These ancients used a cradled piece of seasoned wood (the panel) to paint on, covering this with a plaster surface (the gesso.) The dry gesso (secco gesso) of egg tempera painting must be distinguished from the wet plaster that was used for wall frescoes (buon fresco.) It is also very different from the modern acrylic gesso, which has a plastic binder. Because of the lack of other binders, such as watercolor’s gum arabic which holds the paint together, the paint seems to have a particular luminosity and purity. Today, most artists that work in egg tempera use untreated masonite to support the gesso and painting. This is probably a class project from Charlotte’s time at Yale. 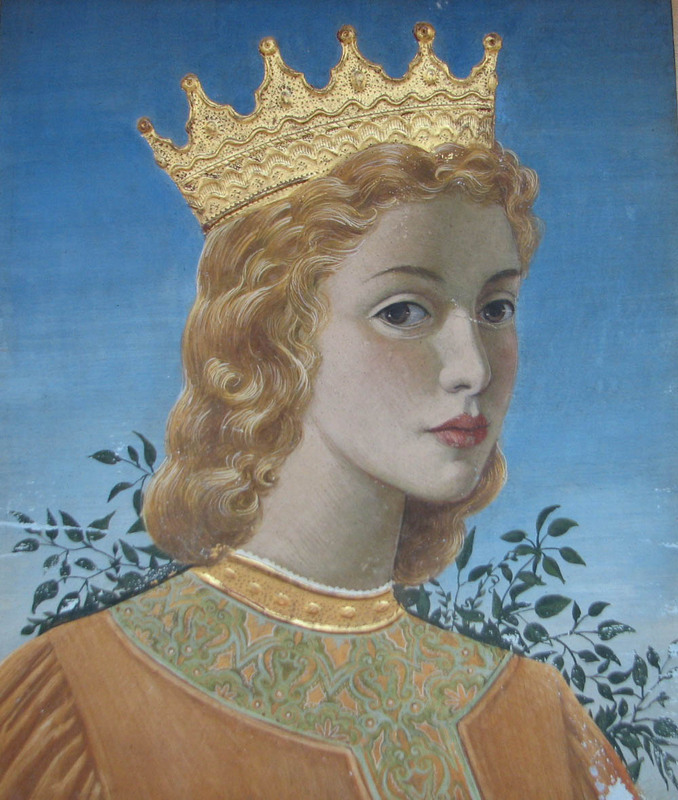 Flesh tones are underpainted with green “verdacchio” for the shadow tones and the crown is glided and tooled according to Renaissance practice.